This army of quality caulks and sealants truly performs. Adhesion, elasticity and durability give you confidence to attack the toughest jobs. Each Top Gun product delivers high-level performance for a wide range of applications with some impressive warranties-even up to 60 years. 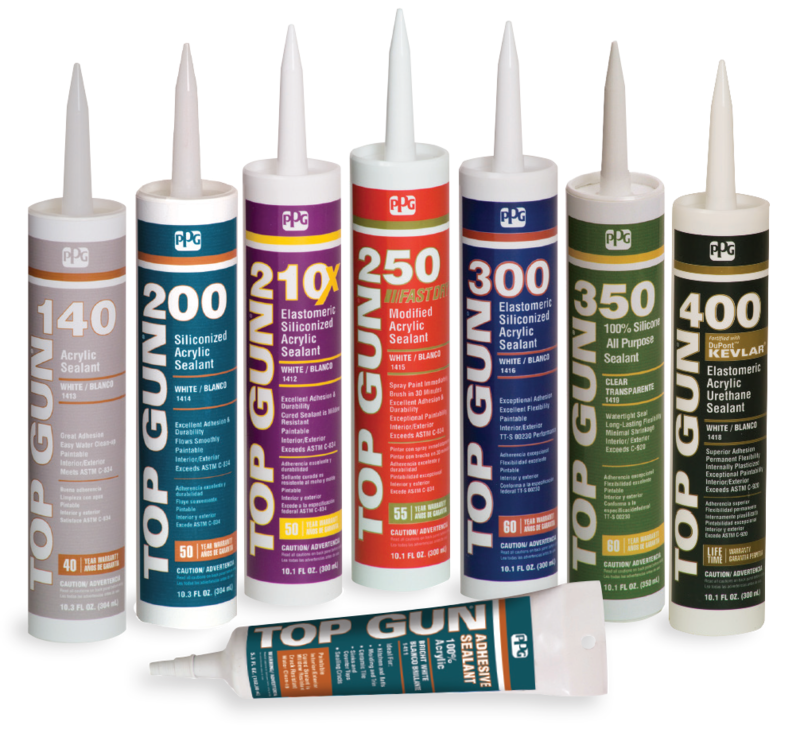 Top Gun Sealants are used to bridge the gap between two different substrates that expand and contract at varying rates. 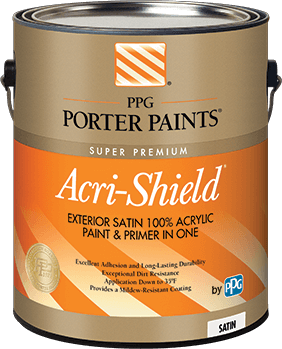 Our most advanced, longest-lasting exterior acrylic coating provides the ultimate in durability. 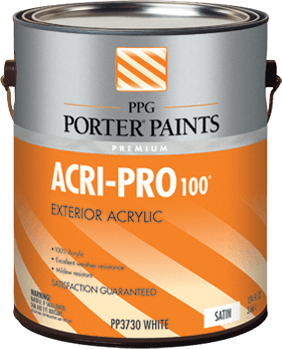 Our best-selling exterior offers an advanced paint and primer in one formula with year-round durability. The excellent application and hiding properties provide professional looking results.